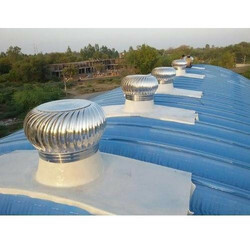 We are a leading Manufacturer of roof ventilator, prime turbo air ventilator, air roof ventilators, wind air roof ventilators, polished roof top air ventilator and industrial roof ventilators from New Delhi, India. 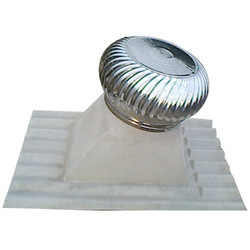 We are renowned organizations of market for presenting the optimum quality range of Roof Ventilator. Keeping track of contemporary market development, we are devotedly occupied in providing an extensive series of Air Roof Ventilators. 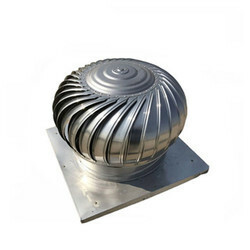 We offer Industrial SS304 Roof Ventilators to our clients. 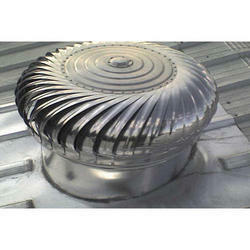 We are a foremost organization, actively occupied in providing a wide range of Polished Roof Top Air Ventilator. 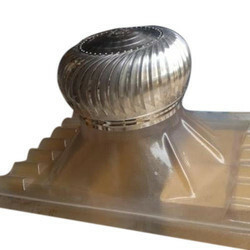 We are providing an extensive series of Industrial Roof Ventilators, which are available in varied specifications that meet on client’s demand. 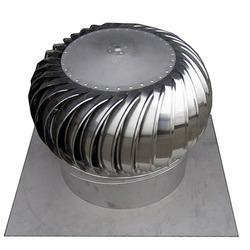 MS Wind Driven Turbo Ventilator is used in diverse industries for effective ventilation in diverse industries. 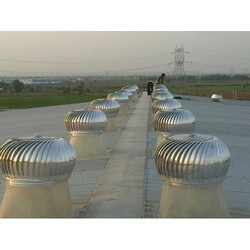 These are used in industries and offers ventilation using minimum resources. The wind ventilators use wind power and depend on the behaviour of the wind as the wind catchers help in ventilation by directing the air in and out of the building. We manufacture these using advanced and sophisticated technologies for their greater use. 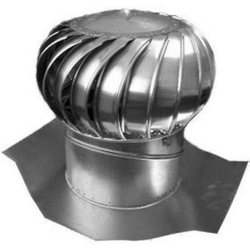 They are heavily used in diverse industries for proper ventilation and making the area free from toxic gases. These are highly resistant to corrosion because of the excellent material used while manufacturing the material. Withstand adverse weather condition such as rain and storms. As it only uses wind energy, it saves the great amount of energy cost. After fitting that one should assure that it will offer 24x7, "air ventilation". 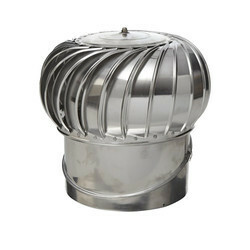 We are Turbo Ventilator manufacturers in India. 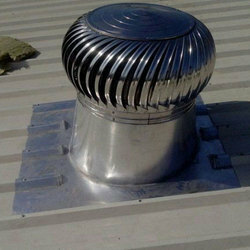 This ventilator is praised for low-cost maintenance, eco-friendly, and a high level of performance. The wind "turbo air ventilator" designed by us embedding advanced machinery and technologies ensure that it provides optimum ventilation. These are specially designed and engineered for cleaning of dust, poisonous gases, smoke and more harmful irritant from the covered area. 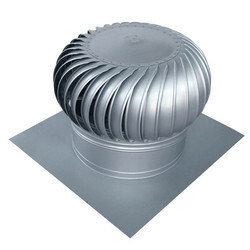 Turbo air ventilator contributes to a safe and healthier environment thus contributing to a healthier environment and eventually increasing productivity. Our product is fabricated with the quality raw material which shows in our products that we manufacture. The Teflon lubricated spread through the surface give it bearing smooth rotation and no maintenance for years. Further, our products are designed for their optimal and trouble-free use. Our products are known for purifying the air by removing dust, toxic and other harmful elements. It will increase productivity as the worker will not feel suffocated because of the poisonous gases trapped inside. Contributes to power saving and benefiting as it works 24x7 without any electricity expenditure. The ventilators that we offer are known for their light weight and noise free. They are known to stand under adverse weather conditions such as storm and heavy rain. These require less maintenance because they are fabricated with the highest grade of materials and lubricants. Hassle free working environment for higher productivity. 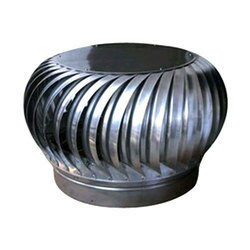 We are the prominent manufacturer of diverse types of Industrial Turbo Ventilator. 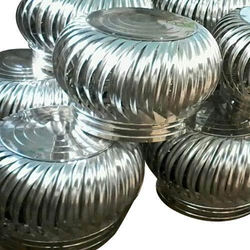 we offer eco-friendly industrial air ventilators, which can be installed easily and are available at reasonable rate. These ventilators feature self-greased Teflon bearings that help in the smooth and friction-free rotation. 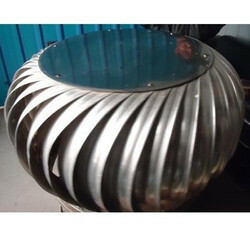 Ribbed design of these ventilators gives more strength. A high-speed controlling instrument in the ventilator defends it against fast blowing wind and in shedding water. These ventilators also improve the longevity of insulation, rafters, roofing material and shingles. It helps in saving a great amount of electricity because it relies heavily on wind energy. It does not emit any pollution and helps towards a greener environment. Their use helps to increase productivity as the people working will not feel uncomfortable while because of harmful and toxic air. 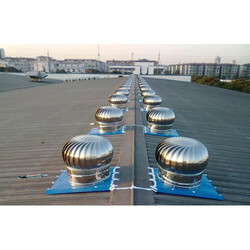 They can be easily installed on the roof without any major construction. 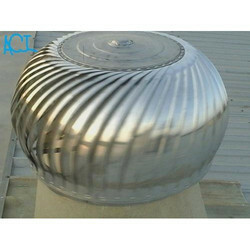 Air Creations India is a Industrial SS304 Turbo Ventilator manufacturer in Delhi, dealing in Turbo Ventilator for smooth ventilation of air inside the building. It works on the principle that when the temperature outside increases, the air also gets heated uprises. The hot air passes through the gaps already existing on your roof’s peak, the roof vent naturally draws in cooler outside the air that had just left. The system has many advantages because of the air which they drew from the highest point of the roof it allows more efficient flow of air. 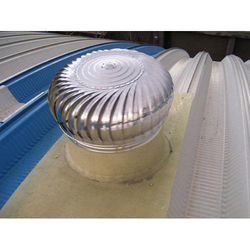 These can be installed with minimum alternating to the existing roof system and are available in various variants. 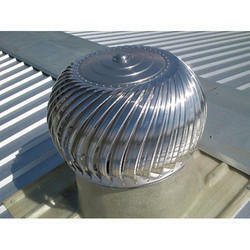 We offer Industrial Aluminum Ventilators to our clients. 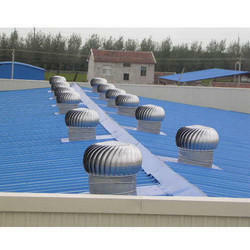 We offer Warehouse Roof Ventilator to our clients. 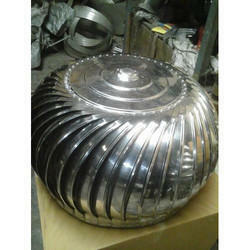 We offer Turbine Air Ventilators to our clients.